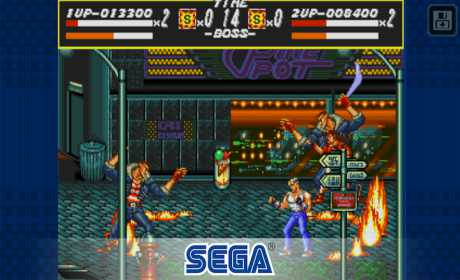 One of SEGA’s all-time greats, Streets of Rage is now available on mobile! Play free and rediscover this ground-breaking beat-‘em up. 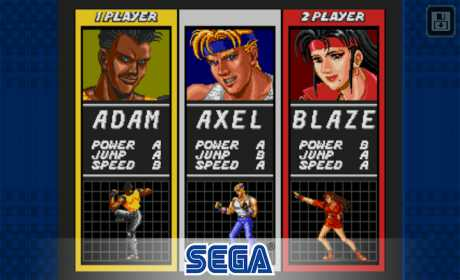 Streets of Rage joins the ever-increasing line-up of ‘SEGA Forever’, a treasure trove of free SEGA console classics brought back to life on mobile! – Three playable characters, each with their own strengths and killer combos! – A devastating, rocket-propelled special attack from the ESWAT team! – There’s an alternate ending to discover… can you find it? © SEGA. All rights reserved. 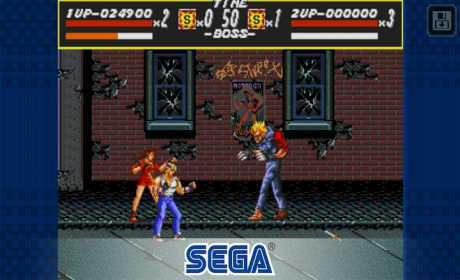 SEGA, the SEGA logo, Streets of Rage, SEGA Forever, and the SEGA Forever logo are registered trademarks or trademarks of SEGA Holdings Co., Ltd. or its affiliates.